Capstone’s end is rapidly approaching and soon, we will start presenting our information that we have learned. But before we could end, there were two things that stood in our way; the interview and site visit. Luckily now, I’ve done both of those and I can relax. The interview and site visit are too requirements to complete Capstone. We have to meet someone who knows about our topics that we picked and visit a place about it too. For my site visit, I chose to visit the Metropolitan Museum of Art. But that’s another story. I’m not going to lie, I was really worried about my interview. 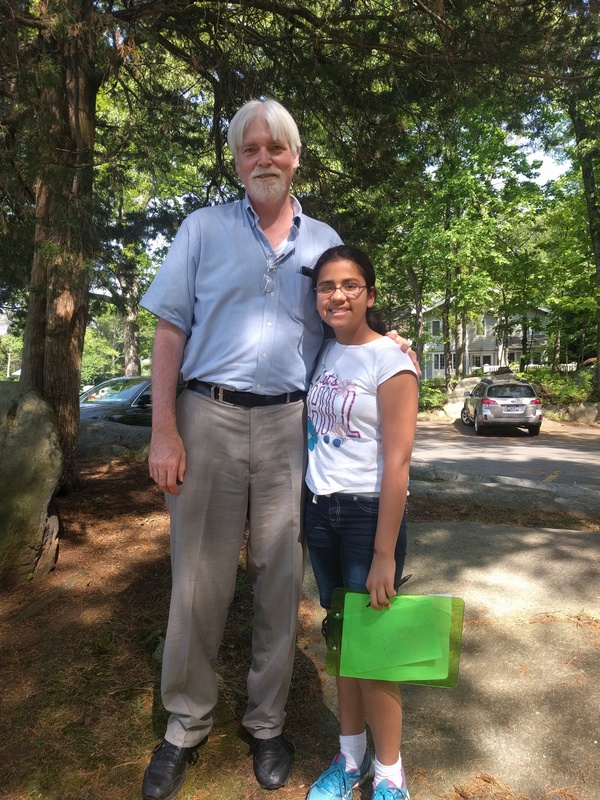 I was doing Sparta, which was an Ancient Greece civilization and I decided to interview a teacher, Mr. Salmon from my old school who taught Greek history in sixth grade. But while the idea came quick, arranging the interview was the hard part. I sent Mr. Salmon an email which told him everything about what I needed his help with. Sadly, he was out for a sometime so I had to wait a week for him to respond. The whole time, I was fretting that he would say no or that we wouldn’t be able to get together. Finally, he sent me an email saying that he could interview me. I breathed a sigh of relief and was so happy. So I sent him another email which asked him the date and time and place of the interview, but he was coaching a softball team so I had to wait another week for a response. Finally. Mr. Salmon asked me for my number so he could interview him over the phone at Greenville, my old school. But my problems still weren’t over. Mr. Salmon got a surprise meeting at the last moment and had to cancel. I was really nervous and the deadline for our interview was creeping up on me. All I wanted was for this interview to be over. We arranged to meet on Friday, May 26 at Greenville school. But, surprise surprise, something else popped up. You see, Mr. Salmon was able to see me at Greenville because that was where he worked. But then another meeting popped up and he had to switch to Seely Place, the other school in the district I used to go too. The worst part was, his meeting came up so suddenly, that my mom didn’t find out till she picked me up. And my school ends at 3:10, while Greenville ends at 3:00. So Mr. Salmon scheduled our meeting for 3:15, five minutes after my school day ended. I probably would have made it, except that I forgot my instrument at school so I wasted ten minutes running to fo and get it. My mother and I raced to catch Mr. Salmon but we reached Seely place at 3:30, fifteen minutes after the interview was supposed to happen, I was so nervous that he wouldn’t be there and that he would have left. The interview went well. I was nervous that Mr. Salmon wouldn’t be able to answer the questions, but he did and well. One of the responses he gave that shocked me was when he told me that Sparta probably respected Athens, its rival state because enemies are enemies for a reason, usually because they are both great. If they’re both great, the must respect something about each other. What do you think Sparta should be known for? I used this answer as a good intro in my speech about Sparta, when I introduced it. How do you think Sparta helped Greece in the Persian Wars? Instead of telling me what most of the websites did(which was Sparta was a great leader) he said that Sparta’s army helped a lot too. Which allies did Sparta use? Mr. Salmon told me that Sparta didn’t like to be allied but he gave me the names of some allies, such as Thebes. I got tons of new information out of this but I’m still so glad that this interview is done with. I hope I never have to do it again. It is way too stressful.